I’ve been nominated by Abdeah from Under the Midnight Sky for the Book Fangirling Blog Award! Thank you so much for the nomination Abdeah! 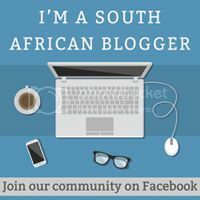 I enjoy spending time reading your posts, and it is always lovely to come by book bloggers from my home town – Cape Town. WHAT BOOK DID EVERYONE LIKE AND YOU HATED? I know, I know, this is a firm favourite of so many readers around the world, but I was so disappointed by it. I actually started reading this book before the movie came out and it became all the rage; but I never finished it. Then when I read the write up on the movie, it sounded so familiar, and when I finally realised why it was so familiar I struggled to understand why it was such a big hit. I felt that John Green’s characters were unrealistic and pretentious, so I could not connect with them and it held me back from really enjoying it. BOOK/S THAT PUT YOU IN A RIDICULOUS READING SLUMP? The Book Thief is one of my all time favourite books, ever! I adored the writing style, the characters, the setting, the plot – pretty much everything that there is to love about a book, I loved about this one. But after reading it, I fell into a massive reading slump because every other book after seemed meaningless. It took me a while to get over the heartbreak and let it all sink in. I wrote a review about this book which you can read here. This book actually took me out of the reading slump which I was left with after reading The Book Thief. I am sure many bookworms will agree with me when I say that I am not a fan of books being made into movies. A movie takes away so much from a good book, especially if you haven’t read it. But for the sake of this challenge, I will say that I wouldn’t mind Jodi Picoult’s masterpiece, Leaving Time, being made into a movie. It contains everything that in my opinion makes a terrific blockbuster. Unfortunately I don’t have much time to watch YouTube videos, but I have watched some by Blue Eyed Biblio and really enjoyed it. She is so cute, and her book collection is something from out of this world! And anyone else who would like to complete it too! 1. What book did everyone like and you hated? I really enjoyed completing this challenge, hope you enjoyed reading it! 1.What fine part of the world are you reading from today? I am reading from the town famous for its white sand beaches and the majestic Table Mountain; Cape Town, South Africa! 2. Which book in your book stack are most looking forward to? Well apart from my current read which I am thoroughly enjoying, The Young Elites, I am really looking forward to reading Harry Potter and The Goblet of Fire!! 4. Tell us something about yourself! I have the heart of a little bookworm, but I crave adventure – I think you could call me an adrenaline junkie. If I am not losing myself in a good book, then I can be found day dreaming of my next blood pumping, thrill inducing activity to cross off my bucket list! 5. If you participated in the last read-a-thon, what’s the one thing you’ll do differently? Or if this is your first time, what are you most looking forward to? This would be my first time taking part in this challenge, and I am most looking forward to connecting with people across the world who are also participating in this read-a-thon. This is just a little post to let you know about the read-a-thon I plan on participating in on Saturday, 17 October. I only came across it a couple of minutes ago so I do apologize for this rather rushed post. A 24 hour read-a-thon is a reading challenge where everyone participates at the same time. For 24 hours, people from around the world read books, and post it on their blogs and various social media platforms; as well as visit other participants’ virtual online homes in order to encourage and motivate one another to read. I have never participated in a read-a-thon before, so I am extremely excited to take part in this challenge. I don’t want to commit to a full 24 hours, but I will do my best to cram in as much reading and blogging as I can considering that a Saturday is after-all my day to get house chores done that I unfortunately neglect during the week. 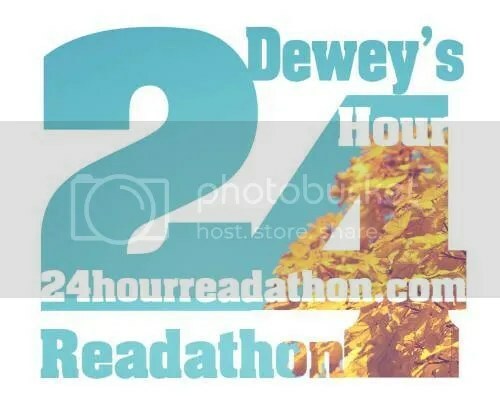 Please check out Dewey’s 24 Hour Read-a-thon for more information, or better yet, sign up and join me in this challenge. This is a great way to get some reading done to boost your Goodreads reading challenge if you have fallen behind like I have. To find out what time it begins in your part of the world follow this link. For the Capetonians, it starts at 14:00 and ends at 13:55 on Sunday afternoon. Until then, have a great Friday! P.S. Jumuaa and Muharram Mubarak to all Muslim readers.